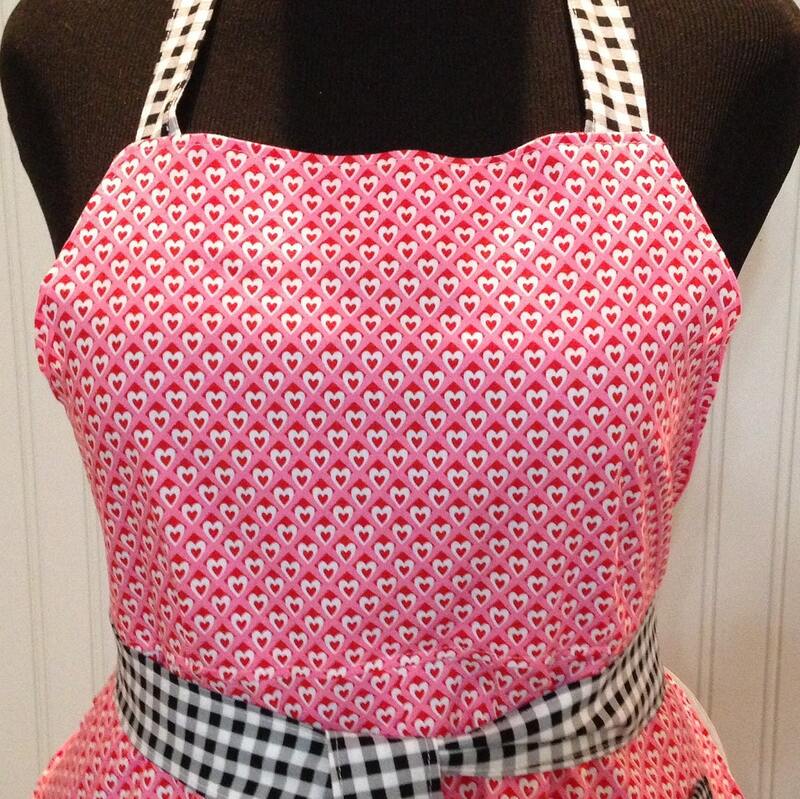 A beautiful and practical full apron in pink, red, and black. 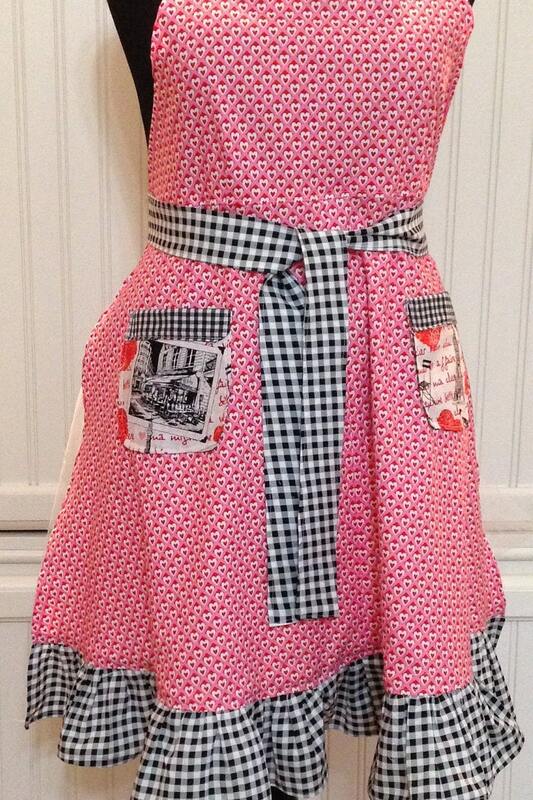 This stylish apron is a perfect gift for Valentines or any time. It has a gently fitted bodice and an easy fitting A line skirt fashioned from pink and red heart patterned quilt quality cotton. The neck and generous waist ties in addition to the ruffled hem are black and white check. 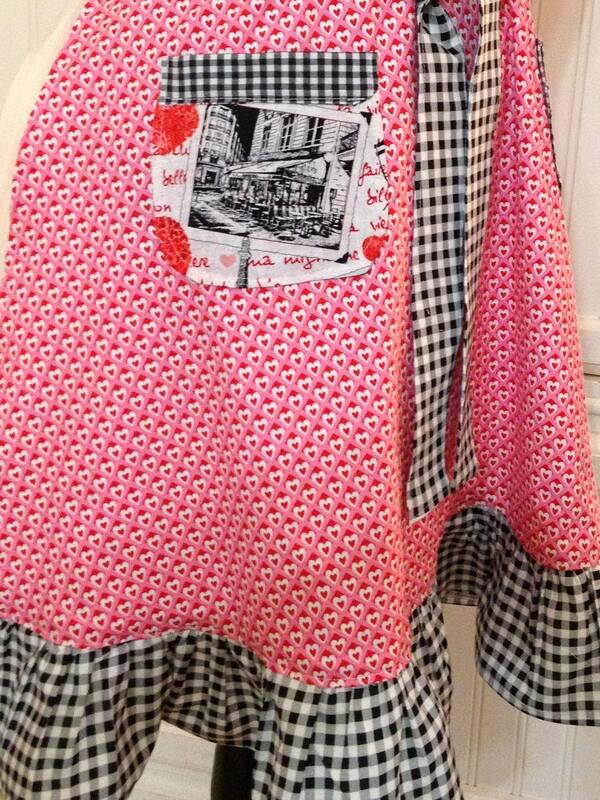 There are also two handy pockets made from a red and black Paris print fabric with black checked top trim. The apron is made using quality 100% pre-washed cotton. 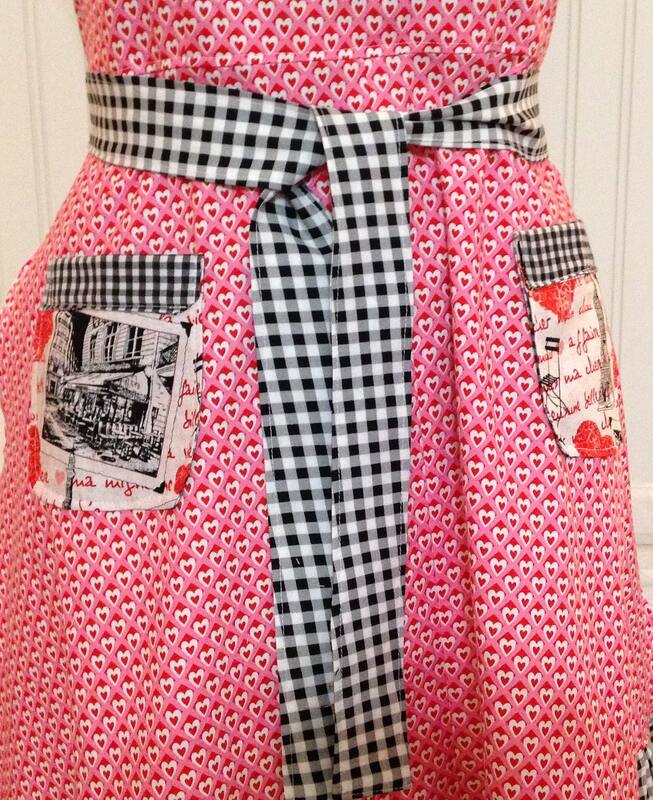 All seams are serged for longevity and the apron is fully top stitched to retain its shape. 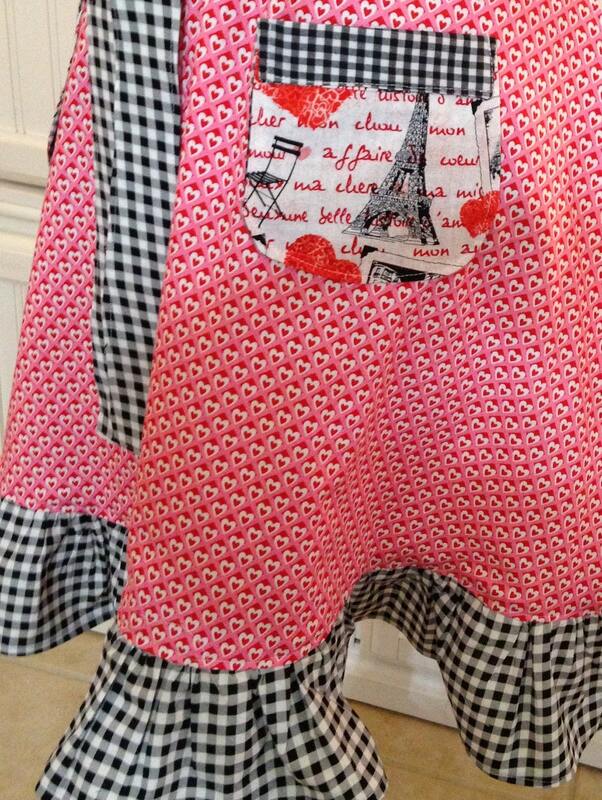 So buy this beautiful working apron and wear it to inspire you to make your own French cuisine. It is as functional as it is beautiful with its generous ties you can even make a stylish bow in front or back.